You are going to Watch Darker than Black Season 2 Episode 6 English dubbed online free episodes with HQ / high quality. Stream Anime Darker than Black: Gemini of the Meteor Episode 6 Online English dub An Aroma Sweet, a Heart Bitter…Hei engages Genma in a battle, taking in the trap prepared by Misaki while she and the rest of Section 3 prepare to transport Izanami to the Greater Tokyo Area on the submarine. Suō and July are tasked by Mao to take down the metal container that houses Izanami. Hei, after realizing that Yin was in the container all along, interrupts Suō’s attempt to shoot it and instead retreats. Hei and the others retreat from Sapporo also, heading to Tokyo after Suō witnesses the death of Michiru when a specter resembling Yin appears to suffocate her with her water powers. Misaki is later warned not to think of Yōko as an ally. Hei then goes rogue once more, cutting off connections with Madam Orielle. 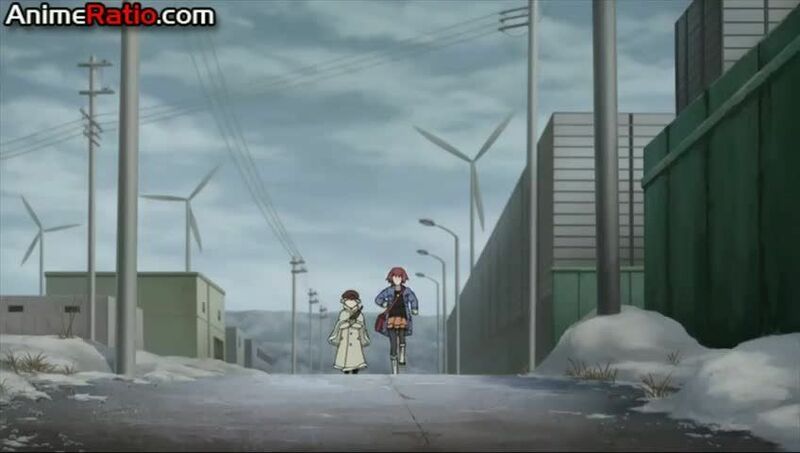 When Suō sees Yin’s specter from the electric pole, she kicks it before walking with Hei back to their hideout.